In books and publications emanating from Wat Pa Baan Taad, we tend to use the word “Acharn” (since this spelling is closest to the original Pali word “Acariya” or teacher). However, as the most popular search term on the Internet is “Ajahn”, we have tended to use that spelling on this website. 'Venerable Uncle', a reverential term for an elderly monk. This used to be a term laypeople used only for monks that were ordained late in life and mostly lived in village monasteries. At it's time using this term was slightly derogatory. No layperson would dare to address a forest monk or renowned monk as Luangta. Venerable Ajahn Maha Bua however referred to himself as Luangta Maha Bua. For decades he was the only revered monk who was then addressed as Luangta. So when people referred to Luangta, they referred only to him. Luangta became a trademark. Hence, www.luangta.com. Normally a revered monk was addressed as LuangPhor (see below). Because Luangta Maha Bua became so famous other people wanted to have a share in it, so other monks started to call themselves Luangta or laypeople called their favorite monks also Luangta. 'Venerable Teacher', a reverential term for addressing a senior monk, or the Abbot. “Father, Mother, and	Venerable Teacher”. This is a very polite and very reverential term for addressing a senior monk, a monk that is renown as a teacher and very much loved and respected by laypeople and monks. The table below gives a list of Pali words used in all the texts (books and booklets), together with a brief explanation according to the Thai Forest Dhamma Tradition, so the definition given might differ from other explanations found elsewhere. This list will expand as we continue working. We cannot display diacritical marks for Pali words, so we have omitted them – and this also has the advantage of making word-searches much easier. However, in the upcoming pdf version of this glossary, all of the correct Pali diacriticals will be included. Teacher, mentor; used also as a term of respect for a senior Bhikkhu. Timeless, not dependent on time. The fifth pure abode. See appendix 'pure abodes'. Non-Returner. A person who has abandoned the five lower fetters and will never again return to this world. Also see appendix pure abodes. The five khandhas (see below) are not-self individually or collectively, nor is there a self-entity to be found anywhere within the heart (citta). It is one of the three universal characteristics of all phenomena. The other two are anicca and dukkha. The unstable, impermanent, transient nature of all things in all realms of existence; in other words all things arise and cease, are subject to change and will become otherwise. Anicca is one of the three universal characteristics of existence. To attain, fix the mind upon. This refers to the deep state of samadhi, also called one-pointedness. A liberated person; an Accomplished One; a person who has abandoned all ten of the fetters (sanyojana) that bind the mind to the cycle of rebirth and who is thus not destined for future rebirth. One who is enlightened; the final stage of the Noble path. That which is unpleasant, loathsome, contrary to what is usually desired. The second pure abode. See appendix 'pure abodes'. Is the opposite of anatta and means “Self”. First pure abode. See appendix pure abodes. Will, intention; not knowing or understanding correctly, but wanting to know and understand; fundamental ignorance; delusion about the nature of the citta. Avijja is the lack of any knowledge that is higher than the level of mere convention, or lack of insight. It is ignorance so profound that it is self-obscuring, turning everything upside down, it makes us believe that what is wrong is right, what is unimportant is important, what is bad is good. Ignorance here does not indicate a lack of knowledge but rather a lack of knowing, or knowing wrongly. Avijja is that which must be overcome and transcended to realize enlightenment. Development by means of meditation. A monk, usually in reference to Buddhism. One who lives on donated food. “Great One”; an inhabitant of the heavens of form or formlessness. Derived from “supreme knowing”; awake; one who has attained enlightenment on his own, without a proper teaching present. Used as a parikamma (preparatory) word for the recollection of the Buddha. 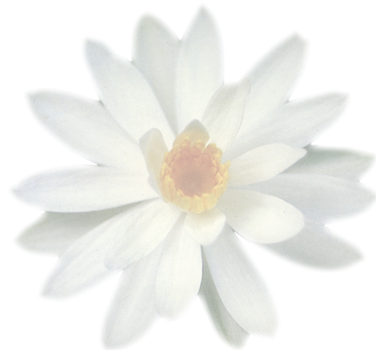 Usually translated as the mind or the heart; the pure citta is radiant and bright and is a state of knowingness. The citta of a person who is not an Arahant is under the power of avijja. As long as there is avijja there is intention. Intention creates kamma that attaches itself to the citta. Everything originates within this citta first. One can see the citta as the driver or programmer of the body (biological robot). If the citta intends to think or walk, feel, memorize etc., it will do so by using the functions of the body. A Talk on Dhamma; exposition of the doctrine. A cousin of the Buddha who tried to affect a schism in the Sangha, and who has since become emblematic for all Buddhists who work knowingly or unknowingly to undermine the religion from within. ‘Shining One’ – an inhabitant of the heavens of sensual bliss, which are immediately above the human realm. Phenomenon; event; reality; the Truth; the way things are in and of themselves; the basic principles which underlie their behaviour. Dhamma is used also to refer to the teachings of the Buddha. In the plural, means: objects of mind, concepts, theories. Used as a parikamma (preparatory) word for the recollection of the Teaching (Dhamma). Element; natural condition; essence. Thus, the four elements of earth (solidity), water (liquidity), fire (heat) and air (motion). Disease, discomfort, discontent, suffering and pain; it is the unsatisfactory nature of all phenomena. It is one of the universal characteristics of existence. ‘One-pointedness of mind’; that can happen in the deep state of samadhi. The citta solely focused on a single object. Thus; in this way. This term is used in Thailand as a formal closing to a sermon. Sense of shame; moral shame. One of the chief Indian deities. Desire of the senses, especially sexual desire. The law of cause and effect; intentional acts of body, speech and mind which result in becoming and birth. Actions of body, speech or mind that have a content of good, bad or neutral which will bring back a corresponding result. Lit: “kamma = action, thana = a region or place.” The basis of practice, subjects of meditation. Heap; group; aggregate; physical and mental components of the personality and of sensory experience in general. Normally it refers to the five khandhas, namely rupa, vedana, sanna, sankhara, and vinnana. Fangs or soldiers of avijja; normally translated as defilement(s). The usual list includes greed, aversion and delusion in their various forms; passion, hypocrisy, arrogance, envy, conceit, vanity, pride, stinginess, worry, stubbornness, complacency, laziness, restlessness, shamelessness, and all sorts of more subtle variations. A characteristic mark. Thus, the three tilakkhana are impermanence, suffering, and “non–self”. Path. Usually referring to the eight fold path leading to Nibbana, that is: Right View, Right Thought, Right Speech, Right Action, Right Livelihood, Right Effort, Right Mindfulness and Right Concentration. When it is used in the combination of magga, phala and Nibbana then it refers to the four Noble paths – the path to Stream-entry (Sotapanna), the path to Once-returning (Sakadagami), the path to Non-returning (Anagami) and the path to Arahantship. A celebration in honour of the Sangha, or the Buddhist community. It commemorates the spontaneous gathering of 1,250 enlightened monks (Arahants) to hear the Buddha deliver his first sermon at Velu-vana Vihara, and recitation of the Patimokkha. Great, superior. In Thailand, a degree in Pali studies. Friendliness; pure love; loving kindness. Name or meaning. The four mental groups of the five khandhas. Somebody who is accomplished with insight and wisdom. Trainable; See appendix 'the four categories of beings'. Lit: ‘Extinguished’; liberation; the unbinding of the mind from mental outflows (asava) and the 10 fetters (sanyojana) which bind it to the round of rebirth. Since this term is used to refer also to the extinguishing of fire, it carries connotations of stilling, cooling and peace. (According to the physics taught at the time of the Buddha, a burning fire seizes or adheres to its fuel; when extinguished, it is unbound). Nibbana is the ultimate goal of Buddhist training. A sign. In meditation practice, a mental image which is usually visual, a vision. Shrinking back from doing what is wrong. Un-trainable; See appendix 'the four categories of beings'. The canon of the Buddhist texts or the ancient language in which it is written. Wisdom, discernment; insight; common sense; ingenuity. Preparatory meditation object, that one puts one’s attention on. Final Nibbana attained at the death of the Buddha or any of the Arahants and the ultimate state of nibbana reached thereafter. Theoretical understanding of Dhamma obtained through reading, study, and learning. It is often used in connection to patipatti (the practice of Dhamma) and pativedha (direct, first hand realization of the Dhamma; enlightenment). The code of monastic rules; the 227 rules for Buddhist monks that are usually recited every fortnight. What should be wished for. Fruition; results. Specifically, the fruition of any of the four Noble paths (see magga). Dwelling at the foot of a tree. Form (visible object); bodily form; all material form both gross and subtle. Reverential assent, meaning it is well, well said. Once-Returner: A person who has abandoned the first three of the fetters (sanyojana) that bind the citta to the cycle of rebirth and has weakened the fetters of sensual passion and malevolence, and who after death is destined to be reborn in this world only once more. It is the second of the four stages culminating in Arahant. Calm, tranquillity, firmness and stability. Absorbed concentration which has many levels and kinds. The total sphere of all the realms of existence. Origin; arising. Samudaya-sacca is the truth of the cause of dukkha. To be seen, that which is visible here and now. The community of the Buddha’s disciples. On the conventional level, this refers to the Buddhist monastic order. On the ideal level, it refers to those of the Buddha’s followers, whether lay or ordained, who have attained at least the first of the four transcendent paths (see magga) culminating in Arahantship. Formation; condition. As a blanket term, this refers to all forces which form or condition things in nature and to the formed or conditioned things which result (e.g. it is that which puts together the parts that make up anything). As the fourth khandha, it refers to thought and imagination. One of the mental components, the third khandha, which is associated with the function of memory, as for instance interpretation, recognition and association. Sanna both recognises the known and gives the meaning and significance which colours all of one’s personal perceptions. A religion, a system of teaching and training. Mindfulness, awareness, true objective seeing. A moment of sati is a moment without kilesas. Morality, moral behaviour, moral precepts. Stream-Enterer: a person who has abandoned the first three of the fetters (sanyojana) that bind the citta to the cycle of rebirth and has thus entered the ‘stream’ leading to Nibbana. This is the first of the four stages culminating in Arahantship. Auspicious, often used in reference to the perception of the beautiful; attractive. The third pure Abode. See appendix pure abodes. The fourth pure Abode. See appendix pure abodes. Pure Abodes; realms of existence only for those who have attained to the stage of Anagami; See appendix pure abodes. A thread, the discourses of the Buddha. Ascetic fire. Tapa is thought of as being like a bright fire that burns up the kilesas. Craving – the cause of dukkha – which takes three forms: craving for sensuality, for becoming, and for not becoming. The three characteristics of existence. This refers to the three things that are invariably found to be natural to all phenomena. They are: impermanence (anicca), suffering (dukkha), and non-self (anatta). Arise; for instance, the arising of knowledge or insight. Of swift understanding; See appendix 'the four categories of beings'. Impressions and tendencies from the past, also meaning accumulated good and bad merit from the past. The Asian monsoon or rainy season; the annual three month long meditation retreat. In the forest tradition the retreat accentuates a lifestyle of renunciation, strict ascetic practices, and intensive meditation. Vassa also indicates the number of years a monk has been ordained and it is used to determine who is a junior or senior monk. Only if a monk had stayed the full vassa at the same place, then it is counted as one vassa. Circular, a round. It usually refers to the cycle of death and rebirth. Feeling; the sensation of pleasure, pain, or neither pleasure nor pain. The Bhikkhu’s code of conduct and discipline and the books containing them. Cognisance; consciousness; the act of taking note of sense data, external and internal as they occur. “One who realizes the truth after explanation.” See appendix 'the four categories of beings'. Energy, it is one of the 7 factors of enlightenment. 13.) The sitters practice, in other words, sitting, standing or walking, but never lying down. After death, if the Anagami has not yet cut any of the higher fetters, he will appear in the heaven of the (aviha) deities, then after vanishing, he appears in the heaven of the unworried (atappa) deities. After vanishing from there he appears in the heaven of the clearly-visible (sudassa) deities, from there in the heaven of the clear-visioned (sudassi) deities, from there in the heaven of the highest (akanittha) deities. There he attains the holy path for the overcoming of the higher fetters. Such a being is called “one who passes up-stream to the highest deities”. In each of these heavens he will spend at most 10,000 years. After the Buddha attained Awakening and was considering whether or not to teach the Dhamma, he perceived that there were four categories of beings: those of swift understanding (ugghatitannu), who would gain Awakening after a short explanation of the Dhamma; those who would gain Awakening only after a lengthy explanation (vipacitannu); those who would gain Awakening only after being led through the practice (neyya); and those, the largest group, who are un-trainable (padaparama) and therefore have only one way to go; hell. Maha: a monk who has passed the Pali grade 3 (parian 3) examination. (this is not a rank, but a degree). Somdet (Patriarch) and its various levels, at the highest its the Supreme Patriarch.